National Bank of Bahrain (NBB) today announced 15 lucky winners of its flagship “AlWatani Savings Scheme” for the month of June 2018 totaling US$100,000. Among the winners is the one year old Amna Abdulshaeed Hussain Abdulla Ali, the youngest saver to ever win with the Scheme. 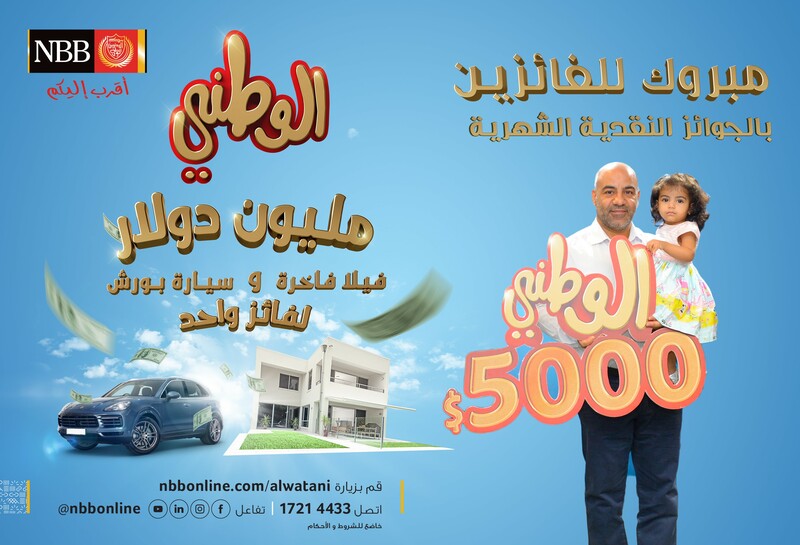 Details of the other lucky winners are available on the Bank’s website www.nbbonline.com and Bank’s social media account @nbbonline.